Master the basics and get the interview. 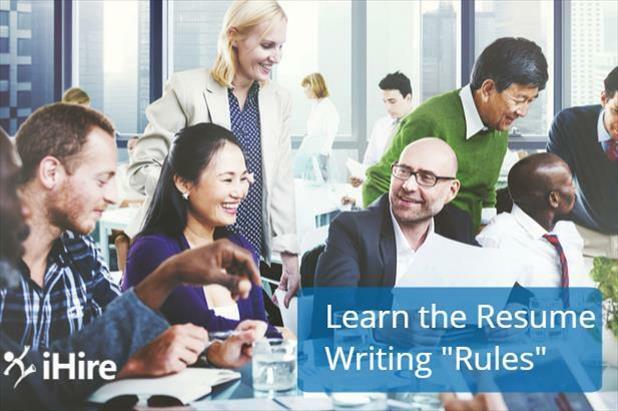 When it comes to writing resumes, there are no hard and fast “resume rules.” However, there are a number of resume writing tips that are helpful for every job seeker to know. 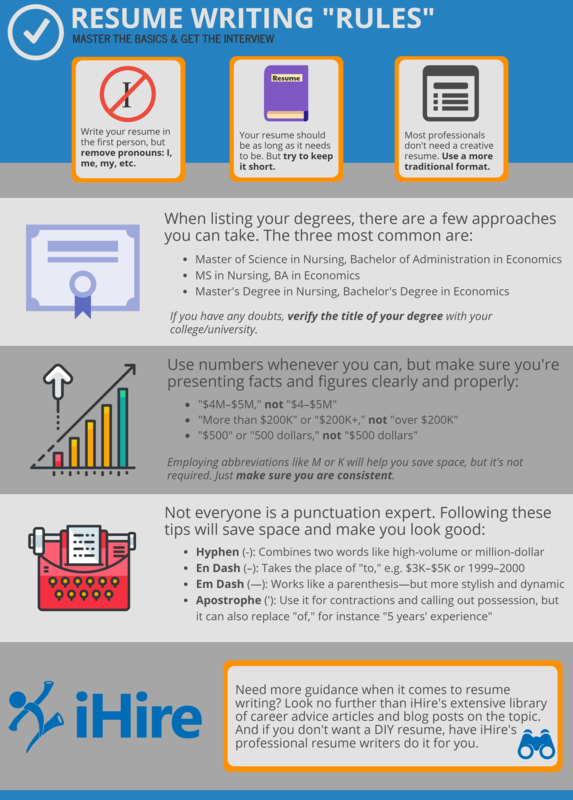 What makes a good resume depends on the exact strategy you choose, but if you’re wondering whether or not you should use the first person, how long your resume should be, how creative you should get, or even how to present your college degree, how to display facts and figures, and how to use certain types of punctuation, check out the infographic below. And if you need additional help, iHire also offers professional resume writing services.